My mental map of D.C. has looked a lot different since I got a membership to Capital Bikeshare. Being able to jump on one of those red rental bicycles and ride the next 30 minutes at no extra cost effectively collapsed my sense of distances between neighborhoods. But it’s taken me longer to realize how “CaBi” has changed my commuting budget: It’s replaced so many Metro rides that its annual membership fee has become effectively free. Letting bikeshare replace bus transfers was easy and obvious (going from Farragut Square to 16th and U is a million times more pleasant on a bike than on a crowded, slow S-series bus). Then I learned that CaBi not only worked well for going from my home to morning or evening work events downtown–with the bonus of getting a Key Bridge vista of the Potomac and the city–but would also spare me Metro’s peak fares and recently-iffy reliability. Finally, I got into the habit of chaining together bikeshare rentals, docking a bike at one station and then taking out another from an adjacent dock. (You can also get an extra 15 minutes of time if you get “dockblocked” by a station with no open spots.) With a combined 60 minutes of free travel available, Capitol Hill events easily fall within CaBi range. So how much has this saved me? A few days ago, I went through my trip history and added up every ride longer than a mile, figuring that would be a decent proxy for trips I would not have otherwise taken on foot. The total over the previous year: 43, with the bulk of them understandably concentrated in spring, fall and winter. Valuing each Metro trip avoided at $2–a lowball estimate for the train, high for the bus–gets me to $86 in savings. And that, in turn, is $11 more than the $75 I paid for this year’s membership and still exceeds the $85 I’ll pay at my next renewal. 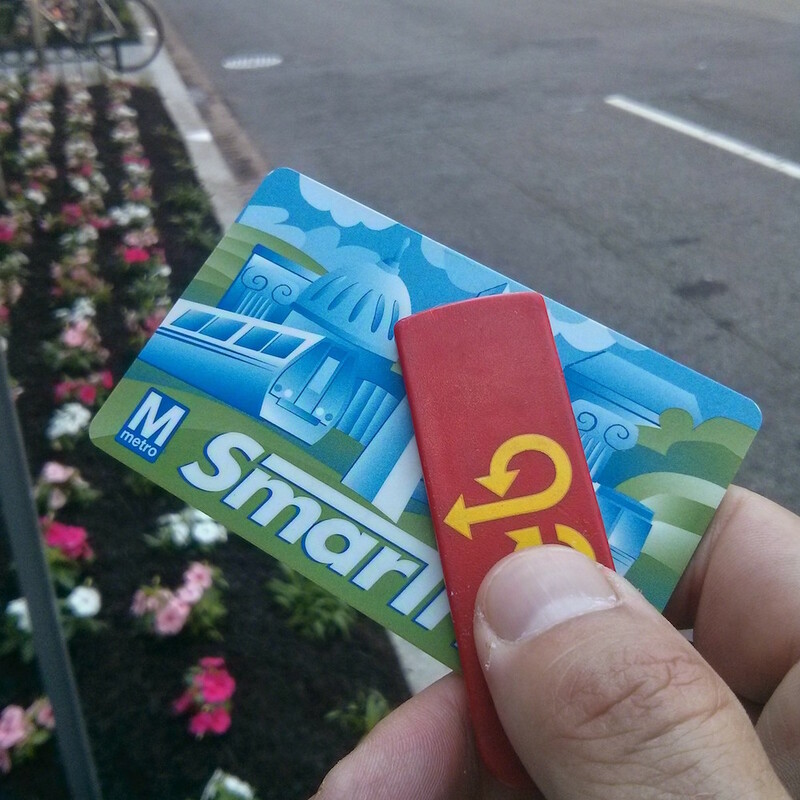 This entry was posted in How-to, Transportation and tagged CaBi, Capital Bikeshare, D.C., Metro, WMATA by robpegoraro. Bookmark the permalink. A lightweight commuter bike with 24 (!) gears has heavy going on those hills. I always rode downhill from Falls Church to Rosslyn on the Custis Trail, and did the uphill on 4 Mile Run and W&OD.